​Population distribution and economic development at the national scale including voluntary internal migration, core-periphery patterns and mega-city growth. Two detailed and contrasting examples of uneven population distribution. By land area, Niger is the largest country in West Africa and the 22nd in the world but 80% of the country lies within the Sahara Desert, Niger remains one of the world's least developed countries. with a GNI per capita of less than US$1025 it is classified by the World Bank as a Low Income Country. It's population density is estimated at approximately 13-14 people per square kilometre and it has a total population of 21.6 million with 94% living on just 35% of the land. 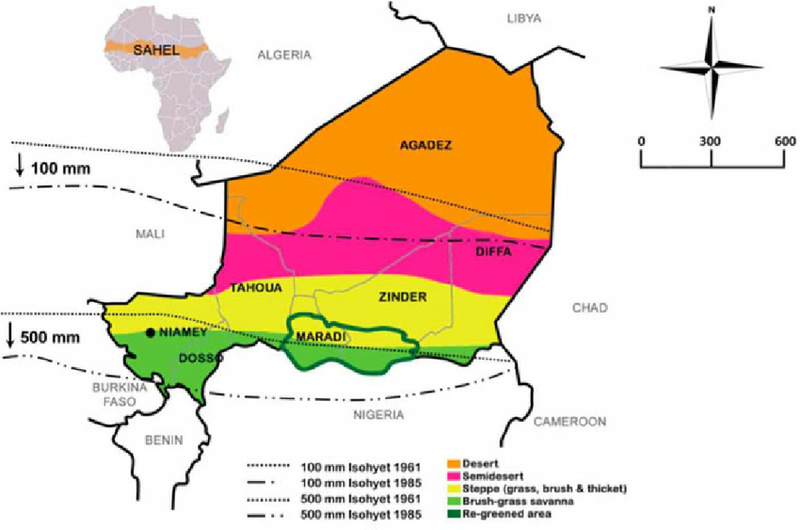 The Maradi region holds 20% of the population on 3.3% of the country's land, while just 3% of the population live in the desert and mountains to the north, which makes up 53% of the land area. 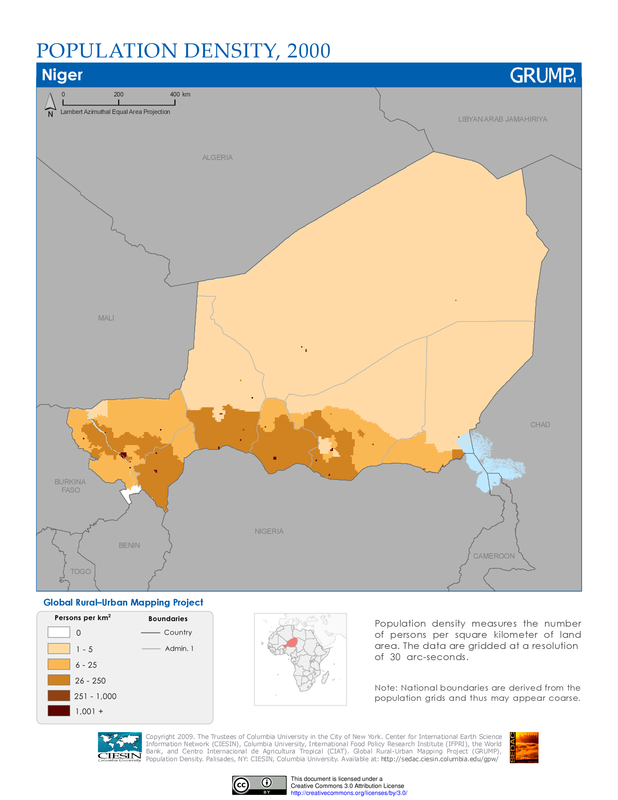 Now write a description of Niger's population distribution. You should refer to data and refer clearly to north/south/east/west of the country. Comment on the locations of the cities. Contrast the patterns and the overall densities with China and suggest some reasons for the variations. How does precipitation connect to areas of low and high density? Remember to name the areas/provinces you refer to in your answer. Explain the connections you identify. What does the map suggest about possible future trends? How does rainfall connect to the map showing agriculture in the country? How does this further explain patterns of population density? What other physical factors might affect population distribution in Niger? Justify your answer. Use the links below to work collaboratively with the rest of the class on how SEEP (Social, Economic, Environmental, Political) factors have affected population densities in Niger.